As a transgender woman, one of the things about A Fantastic Woman that excited me the most was that it was made in Chile. One of the biggest problems with the state of the conversation surrounding transgender rights in America is that many on the right frame the discussion as if our population existed as a fad solely on college campuses or the West Coast. 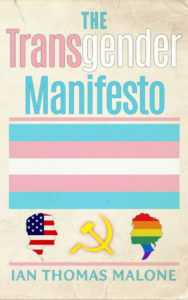 As I noted ad nauseam in The Transgender Manifesto, transgender people have existed in every culture for quite a long time. A Fantastic Woman illustrates what it is like to have to live in a world where people can not only freely question the very nature of your legitimacy, but also call you a pervert and a freak in the process. Marina is a proud woman. She has a loving partner and a job, waitressing during the day to support her passion as a singer. There are countless people throughout the film who don’t shun her or shame her for who she is. These details of her life may seem superfluous, but there’s a certain power in their execution, in a world where so many people struggle to accept the existence of trans people, let alone the notion that we might find acceptance and live normal lives. The film’s narrow scope, which focuses almost entirely on the fallout surrounding the death of her partner Orlando, turns out to be one of its best assets. Grief is a part of life, which is why people instinctively utter the phrase, “I’m sorry for your loss,” even though we know that the words will offer little practical comfort to the recipient. The pain fades with time, aided by a sense of closure that funerals and wakes can provide. You are not supposed to be barred from saying goodbye to the person you love. The very notion is unfathomable in the abstract, because it’s inhumane on a level that few care to explore. Love may transcend traditional understandings of gender and sexuality, but hate only cares about that which it fears. Orlando’s family hates Marina. They hate her because she is transgender. She loved him, and several of his relatives demonstrate acute awareness that this love was mutual. Hatred trumps reality. Transgender people know this sensation all too well, and Daniela Vega, in just her second on-screen role, displays all the emotions that follow with acute precision. A Fantastic Woman is an honest portrayal of the spirit’s struggle to retain basic human dignity in the face of tragedy. It is hard to put into words how difficult it can be to react in real time to the kind of discrimination that transgender people encounter far too often in this world, to have to stare into the eyes of a person who has made it clear that they don’t even value you as a person. It is one of the rare instances where the reality is often worse than a scenario concocted in one’s own imagination. We’re not supposed to live in a world where people can treat someone like filth because of who they are. Countries pass laws that are supposed to prevent this. A Fantastic Woman is a perfect reminder of how much more progress humanity has to make in the realm of basic decency. Film has the power to show people experiences beyond what they might find in their own daily lives. One of the most common points I bring up in my own activism is that there are a lot of people who have genuinely never interacted with a transgender person, which can lead the mind to substitute its own interpretation when discussing LGBT rights in a broader sense. The national discussion often omits that we are in fact, real people. We laugh, we love, we grieve. We shouldn’t be forced to surrender the latter because society has a problem with the reality we exist in.